Don’t give up on your dreams. “Giving up on your dreams doesn’t come for free,” says Chris Hadfield, astronaut extraordinaire. Chris followed his dreams for 33 years before they became a reality. Children dream. Children explore. Adults talk. And adults do. “We get the ability to explore way before we get common sense or perspective on how anything works,” Chris says. If you stopped exploring, start again. In today’s interview you learn how to live the life you want. Take it from Chris. He’s an astronaut so he really has an outside perspective. Chris lived his dreams because he explored his curiosity. That’s the secret. You need to explore. No matter how impossible they seem, your dreams deserve exploring. That’s the other secret. You need to believe in the impossible. Chris made the impossible possible and became the first Canadian astronaut to walk in space. That doesn’t mean he’s never failed, though, which we talk about, too. “You will not reach the potential you’re capable of – which to me is the ultimate risk, the ultimate loss – if you let yourself be minimized by fear,” Chris says. Believe in possible. Be curious. Explore. I’m excited for you to listen to today’s episode and regain confidence in your dreams. 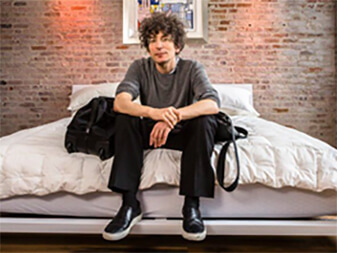 If you enjoyed this episode of The James Altucher Show, please leave a review or a rating onITunes. I read every review and it helps to make the podcast better.